As finite human beings, we live in time and space. We encounter the world, necessarily, from our own limited perspectives. This means, as Wineburg explains, that we naturally make sense of new things by analogy. Without even having to think about it, when we come across something new to us (like an unfamiliar behavior or belief from an earlier time or a different place) we reflexively search for an analogue that we are already familiar with, rummaging through the file drawers of our minds in search of the image or object or concept that most closely resembles it. When we find what looks like a decent match, we say that the new thing we have encountered is “like” something else. The construction of this analogy is natural, and potentially it’s a valuable first step toward understanding, but it comes with risk. Once we recognize something ostensibly familiar in people from the past, we will be tempted simply to label them and move on, to let that first step toward comprehension serve as our final judgment. When we do that, however, we exaggerate the familiar at the expense of the strange, and we misrepresent the people we are trying to understand. Why would I say such a thing? I have already written about how individuals such as Peter Marshall Jr., David Manuel, Francis Schaeffer, Doug Wilson and Steve Wilkins erred by grounding essentially religious arguments about the present in historical assertions about the past. These writers inadvertently backed themselves into a corner that it made it impossible for them to admit historical errors. Any mistakes in their interpretations of the American past would seem to weaken their religious interpretations of the American present. What is worse, in varying degrees these writers conflated the authority of scripture with the force of their own fallible interpretations of American history. In the context of the bicentennial of American independence, Noll determined to investigate “the way in which religious convictions and Revolutionary thought interacted in the minds and hearts of American Christians.” The purpose of the resulting book, Christians in the American Revolution, was less to prove that the United States had a Christian heritage than to discover the response of Christians to the revolution and learn from it. 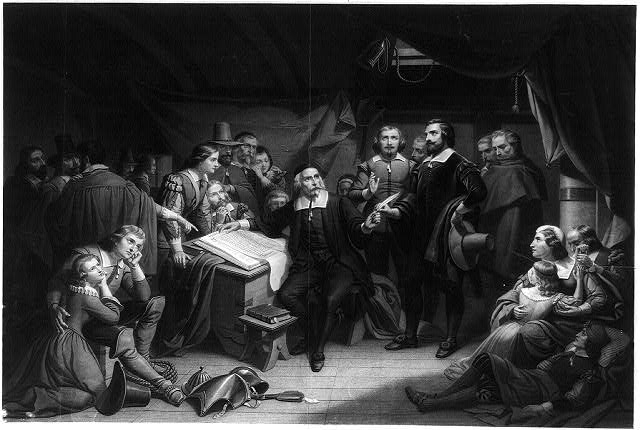 Undertaking an exhaustive reading of colonial sermons, pamphlets, and other primary sources, Noll concluded that the Christian response to the momentous political events of the period had been complex. In their responses, colonial Christians fell into four broad categories. Some supported the revolution enthusiastically, convinced that the patriot cause was unequivocally righteous and perfectly consonant with every Christian virtue. Some supported independence more circumspectly, troubled by perceived hypocrisy or inconsistency in the patriot position. Others saw loyalty to the Crown as the only truly Christian response, while a final group, believing that Scripture condemns violence, embraced pacifism and supported neither side. In an article on our culture’s dismissive attitude toward history, the late Christopher Hitchens once wrote that modern Americans live in a “present-tense society.” The atheist Hitchens was wrong about a great deal, but not about this. By experience, I can tell you that there is no better way to kill a conversation at a party than by answering the ubiquitous question, “So what do you do?” by confessing that you earn your bread as a historian. And yet there are exceptions to Hitchens’ generalization–lots of them. I have frequently encountered Christians outside the academy who care about history. It’s not just that they find it entertaining, on a par with movies and sports. They genuinely believe that history matters and that we can learn from it. Of course I agree. I have concluded two things from my conversations with these individuals. First, it would appear that Christians interested in the American past are drawn to one issue above all others: the relationship between Christianity and the American founding. The evangelicals whom I talk to in church and homeschool settings are interested in whether the United States was founded as a Christian nation, by Christian leaders, guided by Christian principles, in pursuit of Christian ends. Second, to the degree that they have already formed opinions on the matter, they have based their historical views overwhelmingly on the teaching of non-historians with minimal qualifications: popular authors like Peter Marshall, Francis Schaeffer, Doug Wilson, or David Barton. This frustrates me greatly, but I can’t really say that I blame them. We academic historians like to explain our miniscule audiences by pointing to the anti-intellectualism of American culture, which is certainly real enough. But that’s far from the whole story. On the whole, academic historians stopped writing for the general public long ago. We are trained to write for each other. We are rewarded primarily for writing for each other. And so we write for each other. But not exclusively. One of the most encouraging developments of recent years has been the willingness of a growing number of Christian historians to breach the walls of the academy in order to communicate with the church. If you are interested in the relationship between Christianity and the American founding, the good news is that there are now a number of outstanding, engaging works written by sincere Christian scholars who explore the topic with sympathy, integrity, and expertise. If you are looking for some summer reading, the following would be well worth your time: Two wonderful recent titles are Was American Founded as a Christian Nation? A Historical Introduction, by John Fea of Messiah College, and God of Liberty: A Religious History of the American Revolution, by Baylor University’s Thomas Kidd. I would also recommend an excellent older work that was re-issued a few years ago: Christians in the American Revolution, by former Wheaton College professor Mark Noll. If you are thinking of delving into one of these titles, may I offer a few words of challenge before you do so? As Christians interested in history, our goal should be to practice history Christianly. A common view that I have encountered in church and homeschool settings is the unstated assumption that “Christian history” is defined by its conclusions. By this reasoning, an interpretation that asserts that the United States was founded on Christian principles is an example of “Christian” history. A view of the American past that denies this must be non-Christian or even anti-Christian. I think this badly misses the mark. If our goal is to approach the past Christianly, I want to suggest that how we think is a better litmus test of success than what we conclude. What it means to think Christianly about history is a question I am still working through, but I am convinced that it requires the expression of the Christian virtues of love and humility. Expressing love when we study the past starts with remembering that the individuals we encounter were image bearers just like us. They had their own way of looking at life–their own hopes, dreams, values, and aspirations–and loving them requires that we take them seriously, that we respect them enough to listen to them and allow them to ask us hard questions. Bringing a posture of humility to our study of the past starts with our remembering the declaration of Job’s friend Bildad the Shuhite. If you’re generally familiar with the story of Job, you know that Job’s life came crashing down after God allowed Satan to test him, and you know as well that the friends who came to comfort Job were not much comfort at all. In perhaps the only useful advice that Job’s friend Bildad gives him, Bildad encourages Job not to limit his quest to understand his circumstances to conversations with the living. “Inquire please of the former age,” Bildad counsels Job, “and consider the things discovered by their fathers, for we were born yesterday, and know nothing” (Job 8:8-9a). If our goal is to practice love and humility when we study history, what does that mean when all you want to do is sit down with a book on Christianity and the American founding? There is a skill to reading a history book effectively, and much of it involves critical attention to the logic of the historian’s argument and the validity of the evidence that underpins it. But it also requires that you examine your own heart as you read, especially your motives for exploring the topic. Many of us turn to history as a form of entertainment, and that’s OK. (There are far worse ways to fill the time.) But when our motives are weightier, when we believe that something is at stake, when we believe that history is really important to our lives, we tend to study the past with one of two goals in mind. Ideally, we are propelled by a yearning for illumination. Far too commonly, we are driven by a need for ammunition. The latter goal, often unconscious, is a trap, and we fall into it all the time. When Christians ask my views on the place of Christianity in the American founding, what I really want to ask in reply is, “Why do you want to know?” I’ve found that many Christians have a great deal invested in the topic of faith and the founding. Because of popular writers like Marshall and Schaeffer and Barton and the dogmatic interpretations of American history that they have made popular, too many American Christians believe that their commitment to Christ requires that they believe in a particular interpretation of the American past. Any challenge to that interpretation becomes literally an assault on their religious convictions. The result is that such individuals study the past not to be challenged, and possibly changed, but simply to find supporting evidence for interpretations that they already hold. This approach has become a staple of the so-called “culture wars” of the last generation, as both Christians and secularists have ransacked the past in search of evidence to support their predetermined positions and ammunition to hurl at their adversaries. There are multiple problems with what I call the “history-as-ammunition” approach to the past. To begin with, it effectively insures that we learn nothing from the past beyond what we already know. If our goal is to study history Christianly, moreover, it is crucial to realize how much the history-as-ammunition approach inhibits both love and humility. It is difficult to love figures from the past when we primarily expect them to help us prove points in debate. We will be sorely tempted to ignore the complexity of their world in order to further neat and tidy answers in our own. (Remember Alexis de Tocqueville’s warning: “a false but clear and precise idea always has more power in the world than one which is true but complex.”) To the degree that we insist that historical figures serve our purposes, we are not loving our neighbors from the past but using them. And because the history-as-ammunition approach will routinely validate our assumptions and confirm our convictions, the chances are great that it will also feed our pride. So beware of the temptation to “keep score” as you read any of these books, triumphantly underlining the quotes that seem to support your interpretation of choice. Fea, Kidd, and Noll all provide evidence that Christians played a significant role in the American founding and that Christian principles were one important factor in shaping the path to American independence. But the story that each tells is far more complex than we might wish it, full of inconvenient truths for Christians and secularists alike. Tagged American history, Christianity, Christopher Hitchens, David Barton, Doug Wilson, Francis Schaeffer, Peter Marshall Jr.
One of the most common complaints that I hear from Christians who are interested in history concerns the prevalence of “revisionist” history within American higher education. When I was teaching at the University of Washington and would mention that fact when introducing myself to folks at church, a common sympathetic response was, “Bless your heart–it must be awful working in the midst of all those revisionists!” I would always smile and thank them, but inside I would be groaning: the truth is that popular understanding of revisionism is generally way off base. 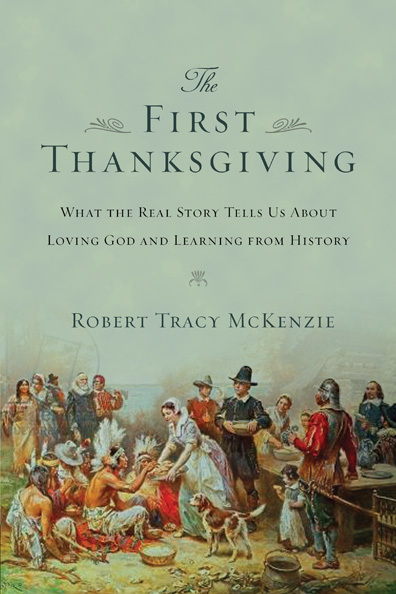 Let me explain what I mean by sharing an extended quote from my forthcoming book The First Thanksgiving: What the Real Story Tells Us about Loving God and Learning from History, due out in early September from Intervarsity Press. Although it focuses on the origin and evolution of the Thanksgiving holiday, my real goal in writing the book was to use a concrete historical topic as a context for exploring what it means to think Christianly as we engage the past. The book is full of concepts that are broadly applicable to the study of history more generally, and one of those is this misunderstood concept of revisionism. As you will see from the excerpt below, I find the concept almost worthless. “Let me begin this chapter with a personal plea: please don’t use the word revisionist in discussing history. I’m serious. Promise me. If you are enslaved to this ugly habit, seek help. If you’ve never taken it up, don’t start. “Third, in contemporary parlance, revisionist reflects a basic misunderstanding of what history actually is. It makes no sense to view revision as intrinsically wrong unless we understand history as akin to Scripture, a special revelation delivered once and for all to the saints to be guarded and transmitted unchanged across the generations. Viewed in this light, any change to the original corpus becomes, quite literally, an act of unfaithfulness deserving of condemnation. . . . Such an understanding of history is badly off the mark. The past in its pristine purity has not been revealed to us, and history is not the past itself but the results of our efforts to make sense of the past in the ever-changing present. Because ‘time is the very lens through which’ we gaze on the past, the passing of time necessarily influences what we see in the past.